New Kashmir White is a Natural material. 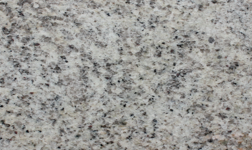 New Kashmir White is a Medium priced Granite stone. New Kashmir White is mostly white/grey with some black throughout it. Due to the famous Kashmir White not being quarried at this point in time for legal reasons, we have tried to find something that bears a very close resemblance to it. This is what we found and we call it New Kashmir White. The only difference between the two is that granite doesn’t have the little red cherry looking marks within it. This colour granite is mostly used in more traditional kitchen styles, and looks very much at home against wooden units. New Kashmir White is a Natural Granite from India, Landford Stone offer this type of stone in a variety of thicknesses and finishes. New Kashmir White is a Medium priced stone and will look incredible in your home!